How are you all doing? Did you have a nice week end? Today I want to share with you some outfit pictures I took on Sunday when I was wearing a dress kindly given to me by the super nice staff at Laundry Boutique. 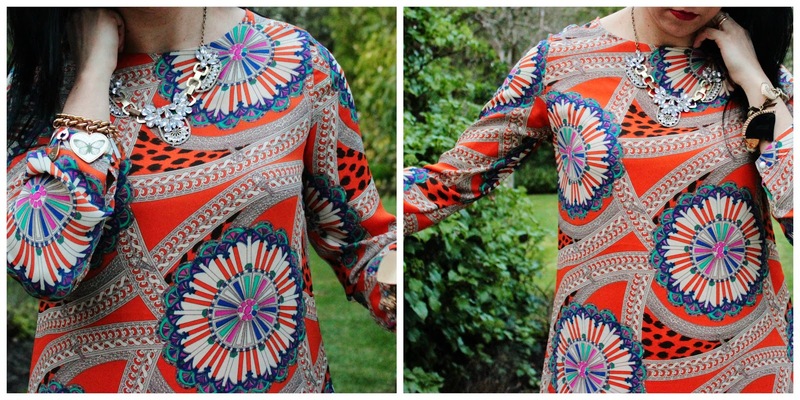 I already told you about this brand here and this is the Retro Sixties Print Shift Dress I chose from their website. 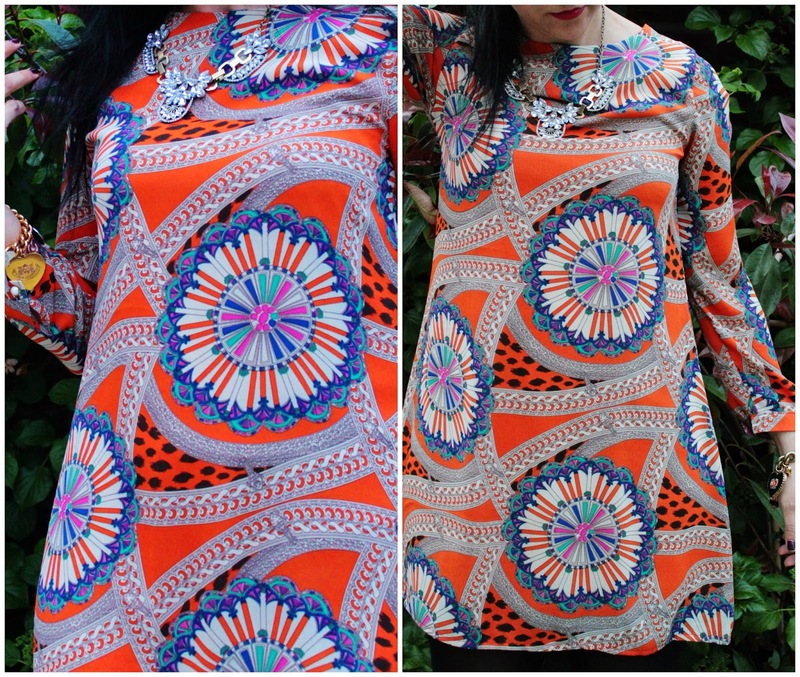 It's a very easy dress to wear, with the bright orange prints and a soft fabric and a very happy purse price of £29. I paired it with my primark boots but then I shifted to a pair of black patent heels for a dinner out; don't you love when a dress is so versatile that can be used day and night? Now, few words about the bracelets. 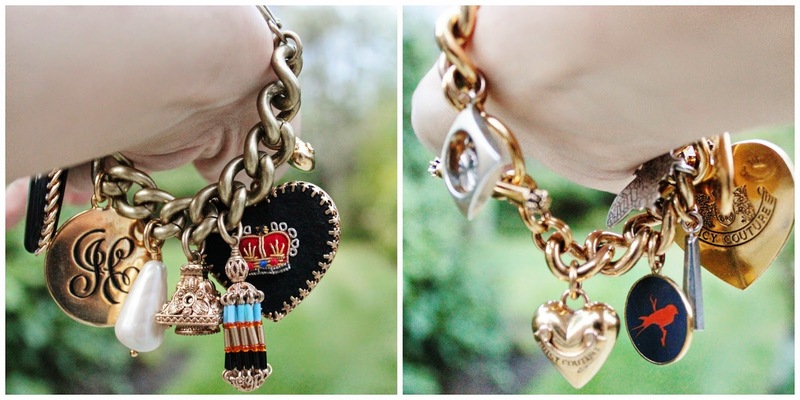 If you follow me on Twitter and Instagram, you will know I adore Juicy Couture jewellery and considering the ridiculous prices of new items, I am constantly stalking good old ebay for good second hand occasions. These are two of my last purchases, you cannot image how proud I am of myself for getting these two for no more than 30 pounds total (a very long happy dance was performed in front of the laptop for the special occasion). Hope you all had a fab week end and stay strong people, only 4 more days to go and it's Friday again!